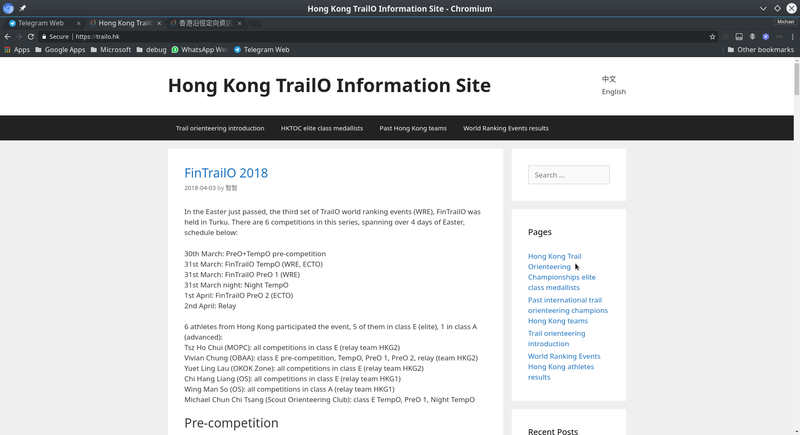 Hong Kong TrailO Information Site is a website dedicated to introduce trail orienteering in Hong Kong. 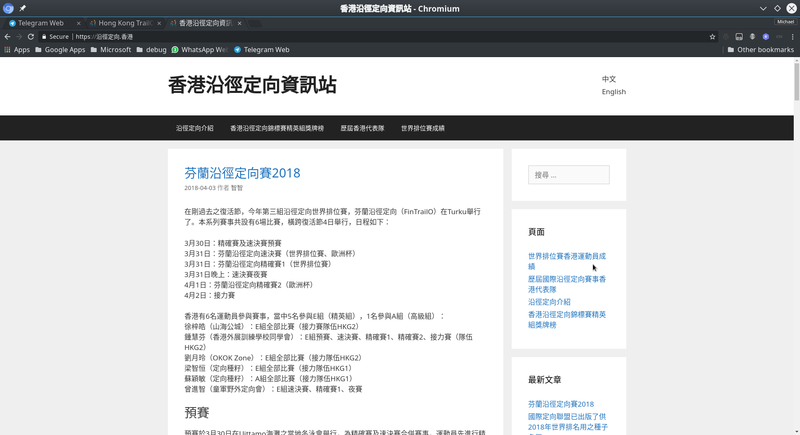 It is a fully bilingual WordPress site with both Chinese and English having equal status on the front end. 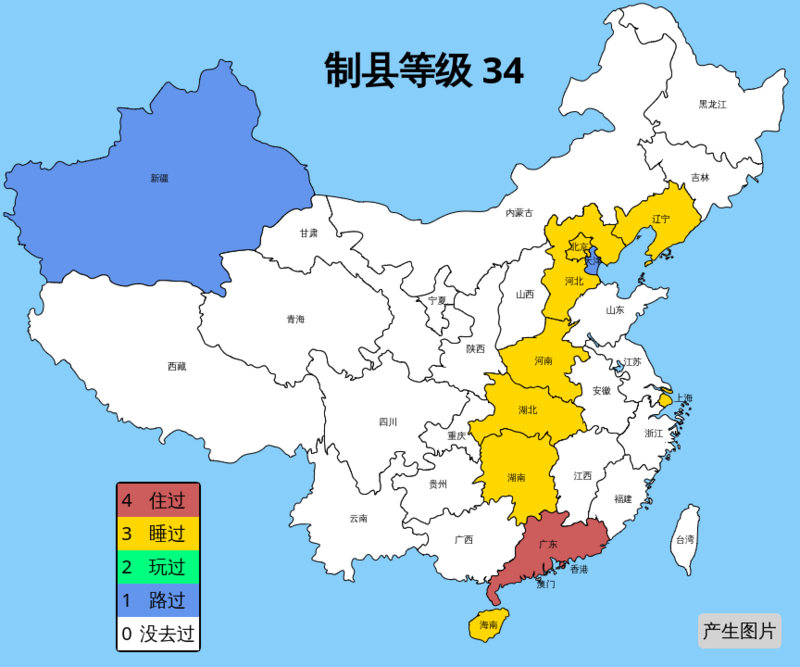 The four-corner method was invented in the 1920s by Wang Yunwu to aid looking up Chinese telegraph code. I have turned this method into an input method for Chinese on Android phones. 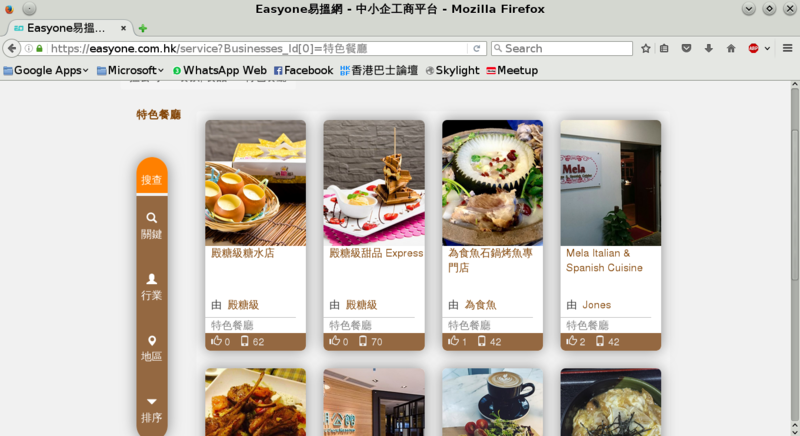 This is an internal staff self management and learning app used in Chow Tai Fook. I developed the API using Laravel and Dingo, which served Android and iOS clients, and also an Angular CMS web application. For further information please refer to 2018 interim report of Chow Tai Fook, page 22. 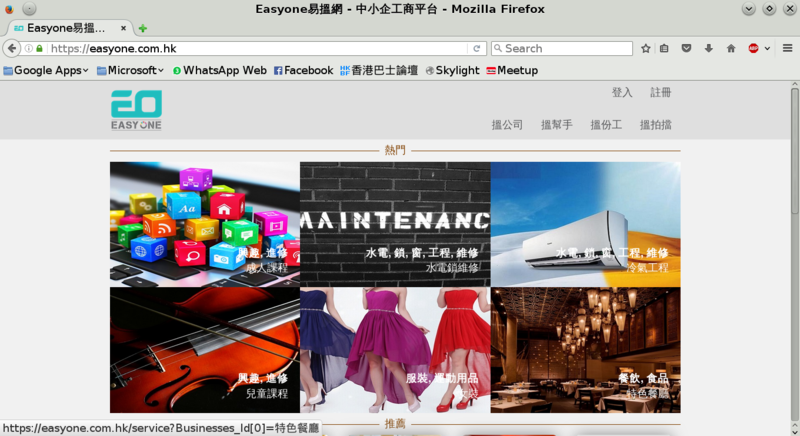 During my internship at Bull.B, I developed the web site of Easy One, which is a portal for business and job listings. I developed the web site using Lavarel - The PHP Framework For Web Artisans, and style it using Bootstrap.